Only a few steps separate the Real Arena restaurant from the beach. 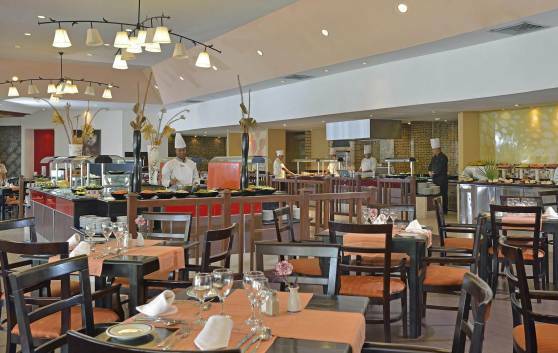 Impeccable à la carte main course and beverage service combined with a delicious buffet. Lunch outdoors. During the evenings, the restaurant provides more refined à la carte service. 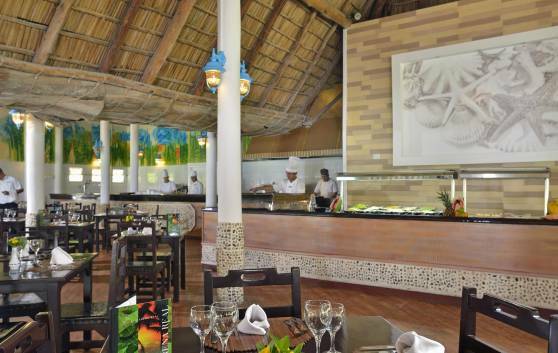 Del Sol restaurant is located between the lobby and the swimming pool and offers a refined atmosphere, enhanced by an artistic combination of colors, where guests are offered a glass of champagne as they are led to their table. Themes nights are like a refreshing journey to the different culinary cultures. 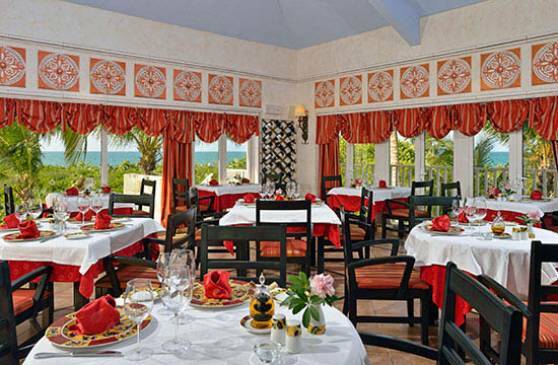 Mediterranean dinner, exquisite menu and wines to choose from, excellent à la carte service and tasty entrées as you enjoy the hotel's most prevailing view: the ocean, swimming pool and surrounding beautiful gardens. 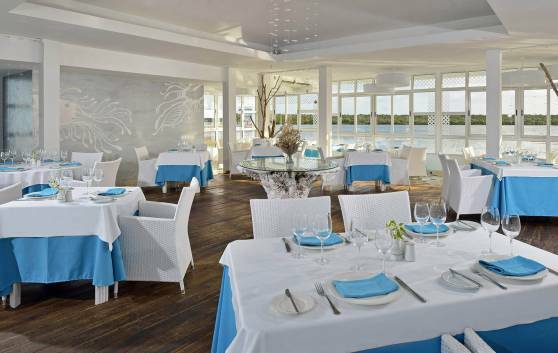 During the evenings, the sound of classical musical is a pleasant invitation to dine in this marvellous à la carte restaurant, famous for its impeccable service and varied international menu which includes seafood and champagne. 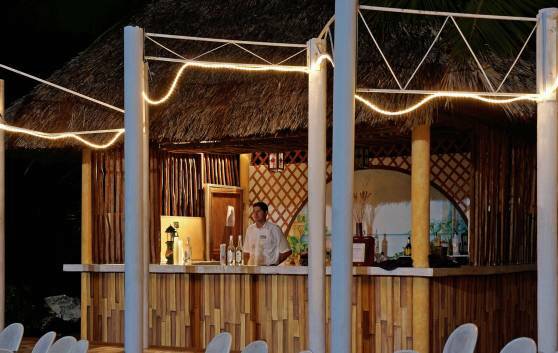 Coco Sol bar offers guests a small typical Cuban kiosk stocked with refreshing beverages as they bask in the sun. The facility also has a terrace where customers can savor their favorite drink. 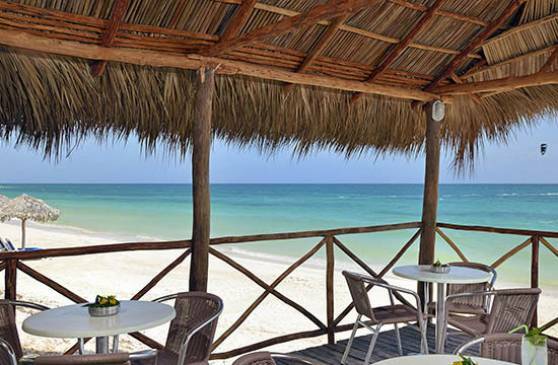 Located at the edge of the beach, always close to our customers and their wishes. 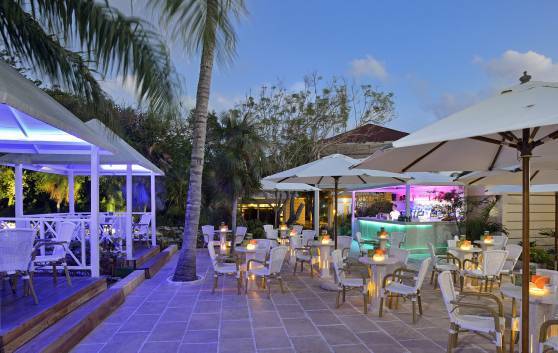 The Carambola bar, whose terrace is built overlooking a natural lagoon, is very popular among pool enthusiasts. Equipped with two pool tables, guests can play during the day and evening to their hearts delight and enjoy their favorite beverage as they await they turn. After several drinks, Carambola becomes synonymous with “good luck”. 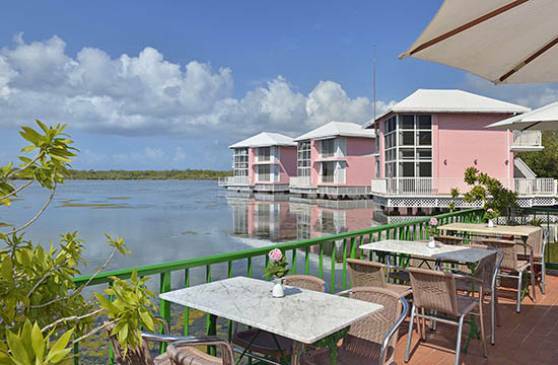 Enjoy a memorable view of the sunset or the magical nights on Cayo Coco in our Lobby Bar-Terrace. The finest local rums and a wide range of international drinks for you to enjoy your favourite tipple or a delicious cocktail. 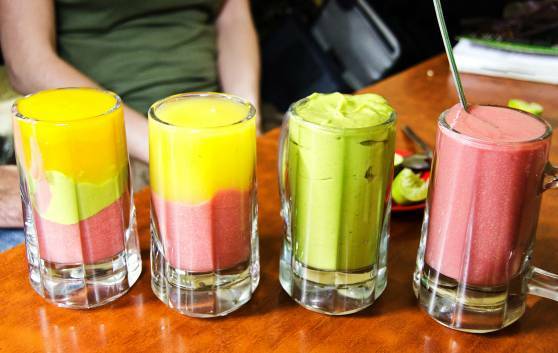 There's no better way of relieving the intense tropical heat than the delicious smoothies, shakes and fresh fruit juices served at our Health Bar. 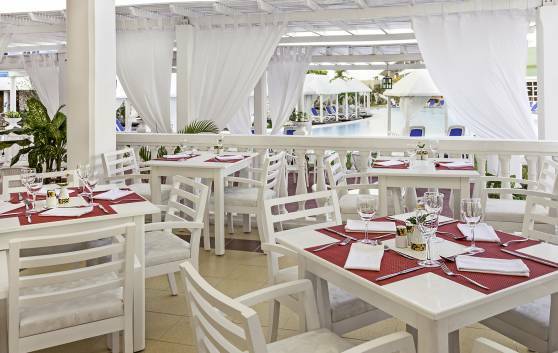 Fresh ingredients and intense aromas and flavours can accompany your perfect day on the beach or by the pool. Guests attending our performance will be sure not to miss a single second of this artistic hour! 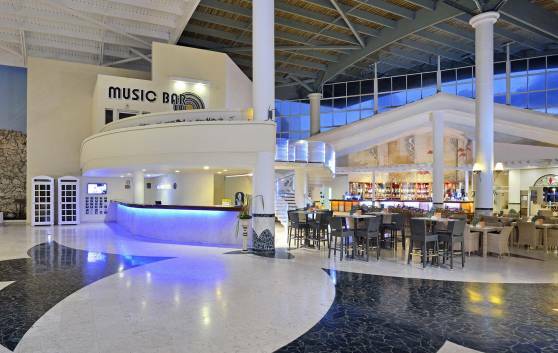 Drinks and beverages served at the Las Coloradas bar next to the stage. An exquisite menu of refreshing Cuban cocktails, liquors, wines, rums and nationally and internationally renowned whiskey brands, which are also inviting. Customers can also enjoy their drinks outdoor on the terrace. Our wine cellar is also at your service. Cheers! Snack bar piscina "El Saladito"
Life on the key is governed by the desires of some and by the imagination and tastes of others. This is why we offer small gastronomic havens, ideal for a carefree and informal stay. El Saladito restaurant, one of such havens, offers delicious fast foods and snacks, ideal for those who prefer to stay up until the wee hours of the morning.